"Take a deep breath and prepare yourself for this testing tee shot. Out of bounds left and heavy undergrowth right allow no room for error. The fairway is generous but any mis-struck shot will be punished. "A fairway bunker is set at 280 yards yielding a route past on the right, but this is only for the brave. A good tee shot offers you the green but don't be fooled - you must strike a quality shot off an awkward up slope, which encourages a left swinging ball flight and an inevitable lost ball. 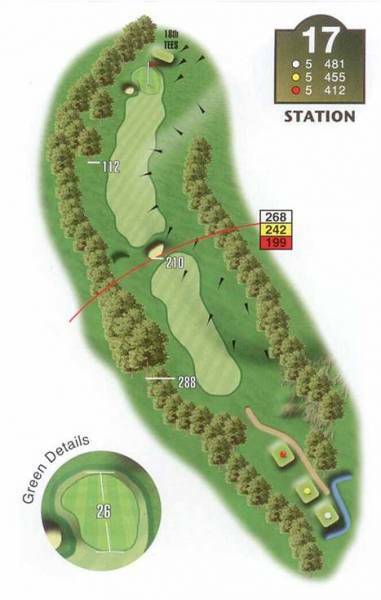 The sanctuary of the green can be found from the right-hand side with a favourable slope to guide the ball."